A loan of $400 helped to buy cereals to use for planting and feeding her family. Monica has been characterized by her neighbours and farming friends as a friendly and charismatic 28-year-old woman. She dedicates herself to tending to the mixed farm that she began 5 years ago. This year, Monica celebrates her 8th year in marriage with Barnaba, the father of her children. 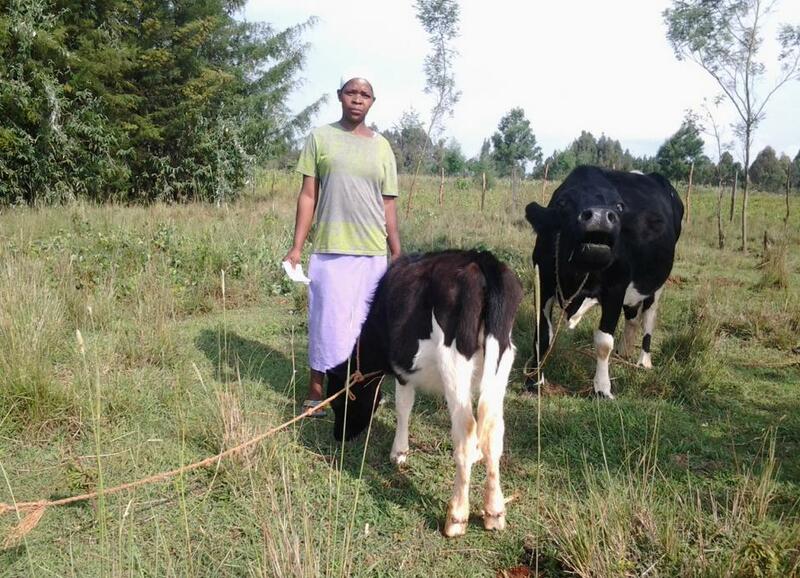 To support Barnaba in providing for their family, Monica started farming. Today, her two-acre farm holds two dairy cows, heads of poultry, and a field of maize/corn. Monica is seeking a loan from KIVA lenders to purchase cereal grains. These grains will act as seeds during the planting season, food to Monica’s family, and a commodity for trade. Enterprising farmers usually aggregate cereal produce from local farmers and sell it in lucrative urban markets that offer better prices. This trade helps farmers, like Monica, to roll back cereal profits into the business and use the money to settle part of the high cost of inputs. Monica’s big family lives in a house that isn’t not comfortable for them, so she dreams of buying a big house where they all can live safe and with a better quality of life. You can help this hard worker mother to accomplish all her dreams, a loan will get her a lot closer to that.